Much like other home systems, you never think about your sewer pipes until they don't work properly. Your plumbing systems have to handle every drop of water that falls from your home's faucets. These systems also catch every strand of hair and cup of grease, as well as every ounce soap, shampoo, and laundry detergent, that enter your drains. When combined, these items can clog your pipes and cause a sewer backup. There are other causes of sewer backups, though, and like clogs, they can be unseen and lurk beneath your lawn or the floors of your home or business. 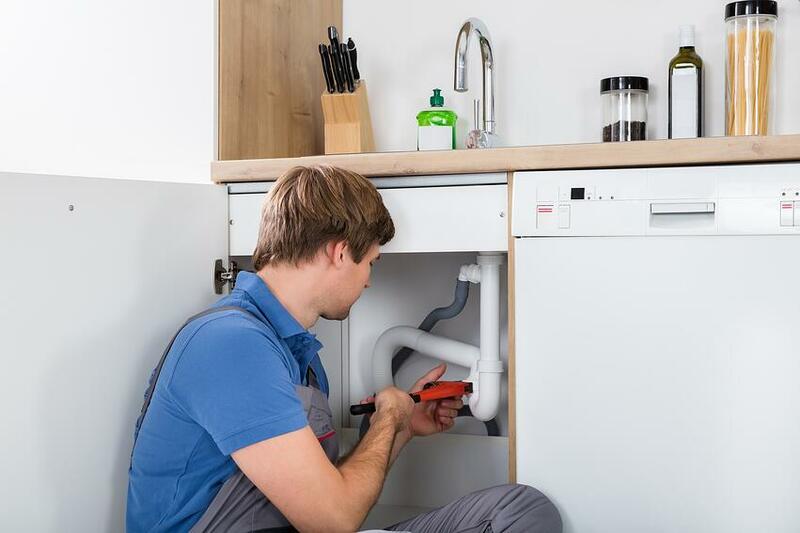 Knowing the causes of sewer backups can help you troubleshoot your home's drain system and determine whether you can make a quick fix yourself or if you need the assistance of a professional plumber. Frequent sewer backups can be a sign of more than just a clogged pipe. If you have frequent backups, you may need a thorough inspection of your plumbing system to determine the cause. The most common type of sewer backup is from clogged pipes. The combination of toilet paper, hair, soap scum and grease (as well as a two-year-old's fascination with what will and will not flush) are common causes of sewer backups. If you have a backup that's affecting more than one toilet or sink, you could have a problem that requires a plumber. This could be a sign of an issue with your main sewer line and may indicate a problem that can't be solved with the help of a plunger or bottle of drain cleaner. Common sewer backups can be prevented with regular maintenance and by using your drains properly. A toilet used as a trash bin will clog. Items such as cleaning wipes, diapers, napkins, and many other hygiene items should not go in the toilet. They should be disposed of properly in the trash, and not flushed. Additionally, kitchen grease should not be poured down your sink, and garbage disposals should not be loaded with large quantities of kitchen waste. However, while proper use can prevent many common sewer pipe backups, other problems aren't as evident. Most sewer pipes lie just beneath the surface of your lawn, and as trees grow, their roots can penetrate your sewer line, clogging it and resisting any attempt by you to remedy the problem. With the use of sewer video inspection, plumbers are able to look directly into your pipes and find the problem. Even though you may not have a tree near your sewer lines, tree roots can cross property boundaries and may be located far away from where their source. If you have a sewer line that's been infiltrated, the roots will need to be cut away and the pipe repaired or replaced. Many of the homes across the U.S., such as those in Sacramento, California, are over 100 years old. Common sewer pipe materials, in their original installations, are often comprised of clay, Orangeburg material and cast iron. As they age, these pipes are prone to crack or collapse. Trenchless technology can replace sewer pipes made from these materials with a system that causes minimal disturbance in your yard or home. Do You Have a Commercial Sewer Backup? Commercial buildings have different plumbing requirements than homes. For instance, restaurants and other businesses with food waste may require a grease trap. Grease traps that are not cleaned on a regular basis can result in a sewer backup in your business, and can ultimately cause you to shut your doors for good. Commercial buildings have a high volume of traffic and the number of people using its facilities can easily cause a sewer backup. Regular maintenance by a professional plumber can head these problems off before they're an issue. The main sewer lines that carry waste away from homes and businesses can clog and cause a backup with relative ease. When this happens, nothing you can do will fix the problem except calling your local city or municipality. This is more common in homes with basements, because drains lower in your home can get sewer backup from a clogged municipal sewer systems. If you have frequent sewer backups or sewer leakages in your yard that are causing an insect problem, or if you have a smelly, soggy yard, you need to call a plumber and have your sewer system inspected right away. A sewer backup can affect your own health and your family's health, and cause your normal life to turn upside down. If you need help, contact us today for a full inspection of your sewer system. Why Use Trenchless Technologies for Commercial Pipe Repairs?